The new long-awaited album IN MEMORIAM is finally out! Click here to order CD and t-shirts! 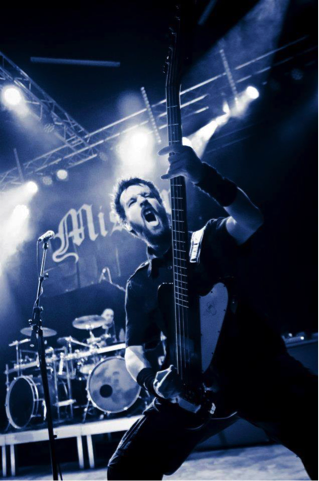 After 8 years of playing in Mistur I have decided to leave the band and hand the bass guitar over to Bjarte Breilid. There is no ill will involved at all, simply the fact that I do not have the time to dedicate myself enough to MISTUR anymore. Bjarte has already been doing session work in my absence on more than one occasion, so we know that he is an ample replacement! I'm really proud to have been a part of two amazing studio albums with MISTUR, and I'm really looking forward to the reception of our newest creation "In Memoriam"! Since we are all good friends I'm sure I will still have a role to play in one way or another in MISTUR's future, but for now it's time to say goodbye and good luck to the rest of the band! New song Distant Peaks available as a lyric video! Check out the link below!